The college has well equipped Computer Lab with systems with latest configuration and provided with High speed Internet as per the requirements. Further the technical specifications are upgraded continuously for effective training to the students. The laboratory is also equipped with scanning and printing facilities. The college also has Overhead Projectors, Audio Equipment, DVD Player and Television digital camera educational models, charts and CD’s and such other equipments which are often used in the teaching-learning process. The College has a well equipped Teaching Learning Resource Centre for Science and mathematics. 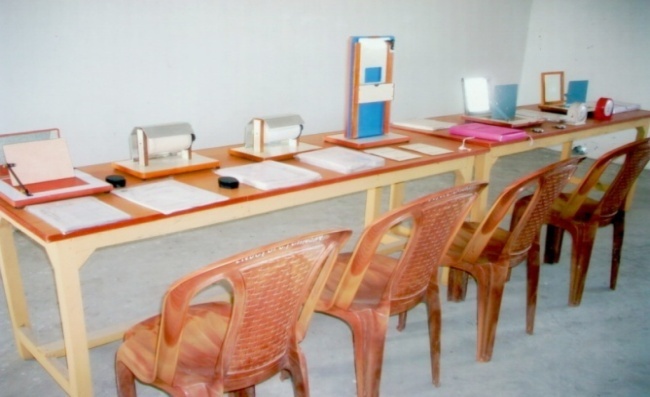 It has various sets of science apparatus required to perform and demonstrate the experiments prescribed in the syllabus for secondary/senior secondary classes. Different materials and Chemicals are provided in the required quantity to perform necessary activities smoothly and effectively. Students learn & explore mathematical concepts & verity mathematical facts & theories through a variety of activities using different materials. The lab also has resources for geography subject such as globes and maps. These activities may be carried out by teacher or students themselves. Models and charts are prepared by the students. The College has a separate Psychology Resource Centre with apparatus for simple experiments related to educational psychology. The Resource Centre has sufficient psychological apparatus, tests, transparencies and CDs’ which are related to various aspects of human development and teaching learning process for conducting psychology experiments included in the B.Ed. Syllabus.